MG has announced that it will be opening a new flagship dealership in the heart of London Piccadilly. The multi-million pound showroom will be located next to The Royal Academy of Arts and serve as the 91-year-old car maker's main store. The dealership will only be able to house six cars but it will be completed to state of the art specifications and include an interactive media centre so customers can configure their own car. Few car dealers could ever afford to open a showroom in central London - not only would the rent or purchase price of the property be astronomical, but the cost of a motor trade insurance policy would likely be very expensive too. All manner of things, including crime rates, will determine the cost of a policy, so this should be factored into the decision-making process when choosing a location for a motor trade business. 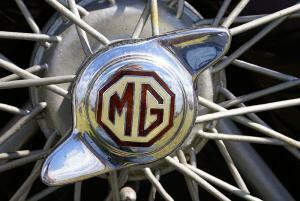 MG has opened 26 new dealerships in Britain with various different dealer groups. However, this one will be owned solely by the British manufacturer. The company's head of marketing Matthew Cheyne said: “This address is, without a doubt, one of the most sought-after international locations and we can’t wait to do business from there. If anyone had any doubts about MG’s commitment to the future, this is a hugely positive statement that MG is back and here to stay.